President Donald Trump cast doubt Tuesday on whether the U.S. could ever know the extent of Saudi Crown Prince Mohammed bin Salman's involvement in the murder of Washington Post columnist Jamal Khashoggi. But now, Congress is demanding his administration provides an answer. The top Republican and Democrat on the Senate Foreign Relations Committee, Sen. Bob Corker, R-Tenn., and Sen. Bob Menendez, D-N.J., sent a letter to the White House Tuesday evening to officially trigger an investigation into whether the young crown prince ordered the plot. The move sets up a showdown between Capitol Hill and the White House as members of both parties in Congress call on Trump to be tougher on Saudi Arabia. "It is a delicate situation when we have a longtime ally that we've had for decades, but we have a crown prince that I believe ordered the killing of a journalist," Corker told ABC Chattanooga, Tennessee, affiliate WTVC. 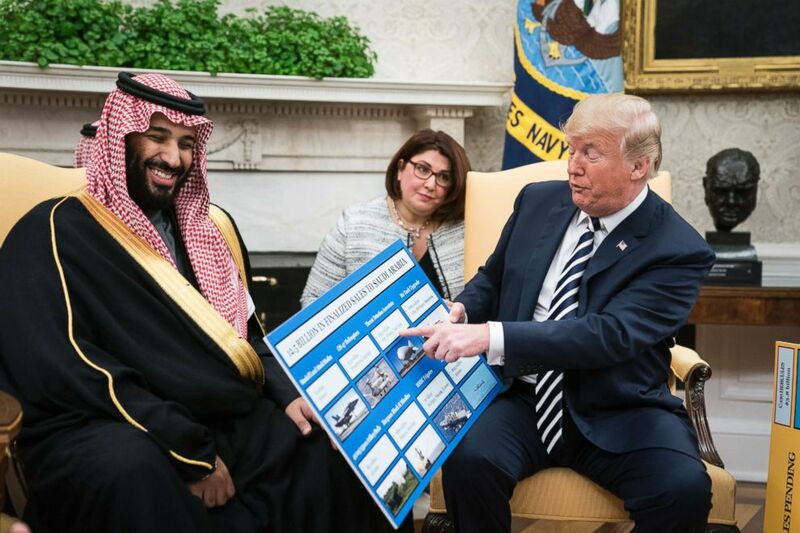 President Donald Trump shows off posters as he talks with Crown Prince Mohammad bin Salman of the Kingdom of Saudi Arabia during a meeting in the Oval Office, March 20, 2018. Earlier Tuesday, Trump released a winding statement that called Khashoggi's murder inside the Saudi consulate in Istanbul last month a "terrible" crime, but it focused its ire on the Saudis' regional rival Iran and defended U.S. relations with the kingdom, a "steadfast partner" and "great ally." "The language that was used it was as if they were writing a press release for the Saudi Arabians, not for the United States," Corker told WTVC. The focus on the role of Prince Mohammed, also known by his initials "MBS," has emerged as the central question after the Saudis initially denied Khashoggi was killed, then denied responsibility, then blamed an accidental fistfight, before calling it a rogue operation and punishing the team that carried it out. Members of Congress have consistently said that the crown prince, who has consolidated power behind the scenes with his aging father King Salman on the throne, must have been involved, especially because of the structure of the Saudi government. The CIA has reportedly reached the same assessment, although Trump denied that at the White House Tuesday. "The CIA has looked at it, they've studied it a lot. They have nothing definitive. And the fact is maybe he did, maybe he didn't," Trump told reporters, adding, "We're staying with Saudi Arabia." Some Democrats have called for a fundamental shift in U.S. relations with the Saudis, but the country is still mostly seen as an important U.S. partner on counter terrorism, combating Iranian influence, and stabilizing energy markets. 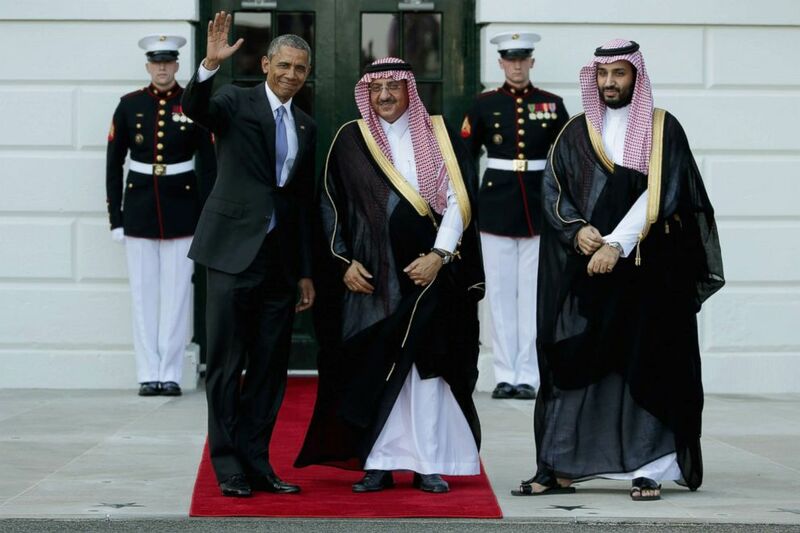 President Barack Obama welcomes Crown Prince Mohammed bin Nayef and Deputy Crown Prince Mohammed bin Salman of Saudi Arabia to the White House, May 13, 2015. Still, Corker and Menendez's letter requests the administration conduct an investigation of MBS's role under the Global Magnitsky Act, a 2016 law the authorizes U.S. sanctions for human rights abuses or corruption. The law grants Congress the authority to order the administration to investigate an individual and make a determination within 120 days, although it doesn't obligate the administration to then sanction the person. "In light of recent developments, including the Saudi government's acknowledgement that Saudi officials killed Mr. Khashoggi in its Istanbul consulate, we request that your determination specifically address whether Crown Prince Mohamed bin Salman is responsible for Mr. Khashoggi's murder," the senators wrote. Corker and Menendez sent a similar letter on Oct. 10, a little over a week after Khashoggi disappeared after entering the Saudi consulate, demanding a Global Magnitsky investigation into what happened. The result of that investigation was the administration's sanctions on 17 Saudi officials last Thursday. But critics pointed out all 17 of those individuals had already been arrested by the Saudis, with 11 of them indicted the same day and five of whom the Saudis are seeking to execute. The U.S. sanctions did little to contrast the Saudi narrative that this team acted alone, although the administration continues to say it will conduct its own investigation to hold everyone responsible accountable. Feb. 1, 2015 file photo of Saudi journalist Jamal Khashoggi in Manama, Bahrain. 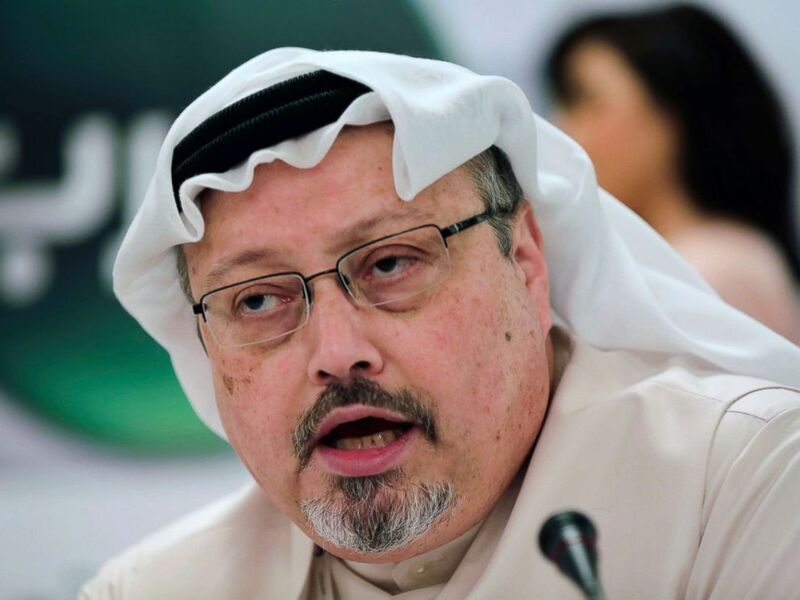 Turkey claims that Khashoggi, who wrote for The Washington Post, was killed inside a Saudi diplomatic mission in Turkey. Congress seems to have little faith in that, again pressuring the administration by triggering an investigation that could result in sanctions -- something that Sen. Lindsey Graham, R-S.C., said Tuesday there is "strong bipartisan support ... including [against] appropriate members of the royal family." One possible disruption in those plans, however, is that Corker, at times a vocal critic of Trump, is retiring and will leave his Senate seat in January. The expected incoming chair of the Senate Foreign Relations Committee, Sen. James Risch, R-Idaho, is much more closely aligned with the president and could be far less critical of his policies. Risch signed the first Global Magnitsky letter in October, but has not released a statement on Khashoggi's killing since then. ABC News' Ahmad Hemingway contributed to this report.